Aibileen: What if you don’t like what I got to say ’bout white people? Jackson, Mississippi has a rich history but it certainly also has its fair share of shame. Great turmoil does however make for great drama in novice filmmaker, Tate Taylor’s THE HELP, based on the wildly popular novel of the same name, written by Kathryn Stockett, one of Tate’s oldest friends. They grew up together in the South and their combined familiarity with the subject gives them the distinct perspective necessary to explore the complicated dynamics between white families and the black maids that kept them together. While it is perfectly acceptable for the maids to handle the dinner and the children, it is somehow unthinkable to have them use the same toilet. That’s the way it was in Jackson in 1962 and even though some practices were just a step or two away from slavery still, everybody kept to their roles with big smiles on their faces. That’s just the way it was done, the way it had always been done … until someone finally started asking why. In the 1960’s, America was in the throes of the civil rights movement. Martin Luther King Jr. led a quarter million people in prayer at the March on Washington and progress seemed achievable. Meanwhile, in the South, black men and women were being beaten senseless, or worse yet killed, for any attempt to push the civil rights movement forward. It was most certainly not a good time for a black maid to sit down and recount what working for white people was really like. It would seem even more ludicrous to share these potentially damaging stories with an actual white woman. 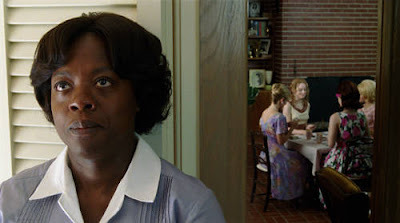 Regardless, this is what Aibileen (Viola Davis) does when Eugenia (Emma Stone) asks her, not because she’s always done what white women have asked of her, but because it was time. The stories she tells are both heartbreaking and heart warming, revealing just how complex these relationships truly are. There is love between some of these women, of that there is no question. And yet there is also superiority and ownership and perhaps most importantly, there is tradition. This is what all these women know. Change is not easy; making change is even harder. There is so much unrest in these situations but you would never know. The trick is to never let on, a perfect glow must shine on the surface at all times. Of course, it is all terribly ironic that these maids are the ones to polish these particular surfaces. That said, there is plenty of shine in THE HELP. Taylor’s lack of experience behind the camera shows when certain delicate moments feel a tad rushed, but that hardly matters when the entire cast is this delightful and endearing. 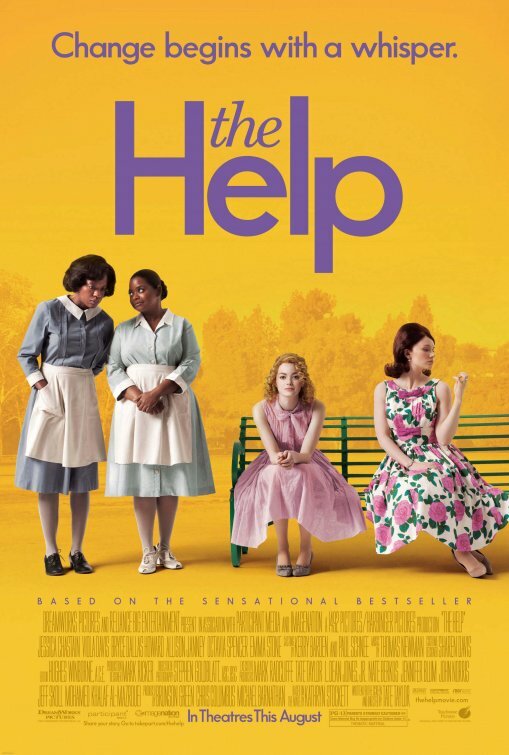 While it is refreshing to see Stone play something other than sarcastic for a change, and naturally Davis anchors the picture with great weight, it is Bryce Dallas Howard as queen of the white ladies, Hilly Holbrook, and lesser know, Octavia Spencer, as the feistiest of maids, Minny, who truly give THE HELP the punch it requires to become as memorable and enjoyable as it is. Collectively, the entire cast, rounded out by touching performances from Sissy Spacek and Alison Janney, maintain an air of ease, which is even more so commendable considering how they all know somewhere in the back of their minds that everything they know is about to change forever. The best part is that you can also see that some of these women know this change is for the best. Thanks for the perspective. I’ll be seeing this one. But it’s throes, not throws. Thanks for the correction! And for reading, of course. Did you enjoy the film?